Us over here at Norway Geographical are really enjoying our newest series of Scandinavian brands and we hope you are enjoying it, too. Most importantly, we hope these selections are helpful and that you can find the style and designs that fit your best. The reason behind these selections is quite simple; Scandinavian brands have established a reputation for the quality of their designs, not only about being well-made, but also highly functional. Because of this, putting together a selection of some of the best brands from these countries is an easy way for everyone to find exactly what they are looking for. We started with Norway and then moved on to Sweden. Today, it’s Denmark’s turn. We will be looking at 8 Danish brands and their key products, as well as go through a short history and introduction of each. After all, this is a selection of Danish brands that you should know. As with the two previous selections, we picked these brands not solely for their technical sports jackets, but also based on versatility. Not everyone is looking for a jacket that is good only for sports and similar activities, so why not have something for everyone! Now let’s get started with the first brand, Fat Moose. This brand’s history begins in 2010, so it is quite a modern brand and that is noticeable in their designs as well. It was the idea of three friends, who were avid extreme sports lovers. 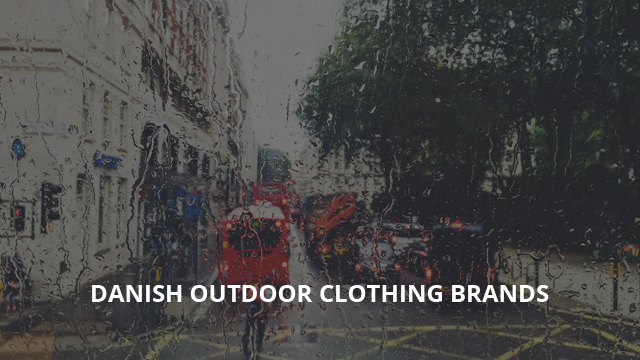 They are one of the highest-rated Danish clothing brands when it comes to outdoor clothes. Fat Moose focuses on the durability and performance of their clothes, so in that way you are getting not just a jacket that will be your go-to choice for any outdoor activity, but also one that will last for years. 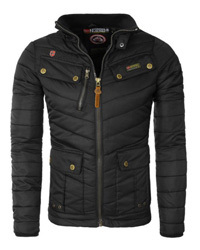 Their collections are very versatile because they feature different types of jackets. From light, casual jackets, to heavy winter parkas. In a minimalist style, without flashy logos and maintaining a classy, refined look, their jackets are suitable not only for when you are out and about, but also for hiking or camping out in the woods. 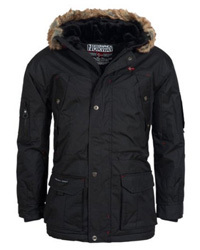 They provide great insulation and are made of high quality fabrics, which are weather-resistant and durable. This next brand, Suit, has a vast selection of products which come in numerous designs and fall under different categories. For example, you can find T-shirts, accessories, pants, blazers and of course, jackets, and that is not all! Suit is quite an interesting brand because their designs are a blend of technicality and finesse. With the main focus on craftsmanship, their clothes fit as if they were specially tailored, while at the same time providing the performance of true sportswear clothing. This is not something that you come across that often and that is exactly why we chose Suit for our selection. Another thing that bears mentioning is that this is a men’s brand, which aims to provide anything a stylish and modern gentleman, who especially loves the outdoors, might require. Now it’s time for a brand that designs clothing for the ladies. A previously featured brand in a past selection of ours of Scandinavian brands, Ilse Jacobsen was founded more than 20 years ago and still remains a favorite of women all over the world. It’s easy to see why when you take a look at the variety of their options and beautiful designs. You can find practically anything for a classy and beautiful outfit for any season. There are dresses, cardigans, shoes, accessories and jackets, each piece carefully designed and crafted. We would like to focus on their rainwear, which consists of raincoats and rubber boots. These waterproof garments are a must-have for anyone living in wet and unreliable weather. Especially if you are not one to compromise on looking good and well-dressed! High-performance, durable and innovative, ELKA‘s (site 1, site 2) outdoor clothing are designed for weather-resistance and safety. Because of this, they have an extensive product range, divided into collections which range from denim clothing, outdoor ones, to those that are made for challenging working environments. Made of high-quality craftsmanship, along with cutting-edge technology, their designs withstand not only harsh weather conditions, but protect against the dangers in the workplace for those who work in construction, on the road and in other similar jobs. As for outdoor activities, they provide a selection of softshell jackets, thermal wear and professional fishing clothes, which has everything a fisherman needs to be safe, dry and comfortable. We have included both of their official sites above, one of which is for their more technical clothing and the other for their stylish and casual designs. Norse Projects was established in 2005 by Anton Juul and Mikkel Gronnebaek. Their designs are a representation of the true Danish style, simple, clean and contemporary. Maintaining refinement and elegance in their clothing line, they provide everything you will need in your wardrobe. From accessories such as beanies, socks and gloves, to T-shirts, jackets, pants, knitwear and all the way to shoes, everything is within their capacities, so you won’t have to look too hard or spend too much time on your favorite outfits. Their jackets are made to resist harsh weather and environmental conditions and for those who are looking solely for sportswear and work jackets, they have Gore-Tex options, as well as the Skipper GMD Nylon jacket. These next two brands come from Sports Group Denmark, a company that produces and distributes sportswear and other clothing for all ages. They sell their designs under 15 unique brands, each with its own specifics. We picked two of them which are sports-related.The first one is Whistler, which is comprised of outdoor clothes for men, women and children. Regardless of the sport or activity you are participating in, what you will require is within Whistler‘s products. 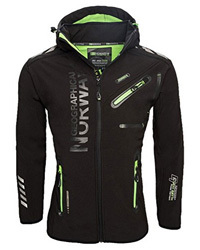 From ski clothing, such as jackets, mid-layers and underwear, to rainwear and heavy winter jackets, their designs are all versatile and made for comfort, first and foremost. The second brand is Endurance, an all-around performance brand with options for all ages. They focus on the performance of their products, after all they are sportive wear so performance is of key importance in that regard, but that is not all. Made of quality fabrics and with the latest technology, durability is another focus of theirs, so you will get a product that performs effortlessly each time, for a very long time. They feature products that are suitable for a variety of activities, such as running, cycling and fitness. One of their most important product likes is Compression, a must for those who want to improve their training performance, be it endurance or stability. And because they like to cover all the basis, there are professional sports shoes available, which are designed for specific activities and different requirements. Last but not least, RAINS is a rainwear brand established in 2012. Their designs were made to withstand Scandinavian weather, which can be unforgiving at times, while also revamping the traditional Danish raincoat. They design rubber raincoats for men and women, which come in a variety of styles, lengths, colors and prints. These raincoats are not your typical rain jacket, which is stuffy and has very low breathability. 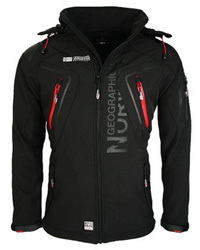 They are breathable, windproof and some come with thermal-regulating fabrics that provide warmth in cold, rainy days. That’s not all, however, as they also design pants, bags and other accessories, which are practical and some even match certain jackets of theirs. A very elegant brand through and through, RAINS lightweight and comfortable designs certainly merit attention. Previous Article← Hardshell vs. Softshell Jackets: What’s the Difference? Which One To Choose?